Dialog Direct helps brands manage and personalize multichannel, multi-touch customer journeys using data-driven marketing and customer engagement services. Android Industries L.L.C. assembles and sequences complex vehicle systems, including full vehicle assembly. It also provides welding and fabrication services for various vehicle structures and frames, and engine cradles. The company was founded in 1974 and is based in Auburn Hills, Michigan. We were a small company having fun building some of the fastest and densest hyper-converged and cloud platforms on the planet. We have ceased operations. A simple, cloud-based platform that allows you to deliver accurate dashboards by taking a bottom-up approach to data quality and exception management. can achieve freedom from their finances without the grunt work. Prudential Security, Inc. is a security guard company with home offices in Taylor, Michigan that provides on-site security guard services and mobile patrol services for commercial and residential properties. DATTUS is a IoT toolbox that extracts critical machine data to uncover efficiencies, apply predictive maintenance practices, and improve your bottom line. Comtronics is your source for residential and commercial security systems both installed and do it yourself. Custom software development for web, mobile, desktop, and devices. 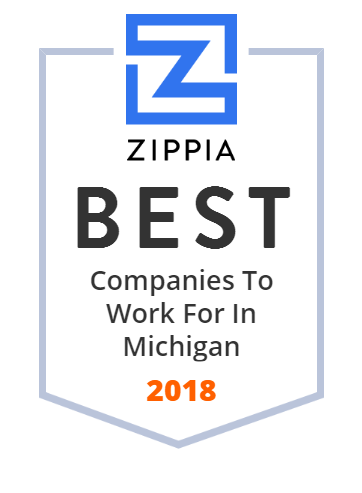 Atomic is an employee-owned software development company in Michigan. Founded in 2001. The world's most comprehensive source of genomic evidence. We help you identify critical biomarkers for NGS. The Van Buren District library serves residents in Van Buren County with 7 branches. Patrons have access to books, dvds, magazines, audio and online resources. Yottabyte LLC is a software-defined data center (SDDC) company founded in 2010 and headquartered in Bloomfield Township, Oakland County, Michigan. Yottabyte also operates three physical data centers throughout the United States. Yottabyte software enables companies to build virtual data centers from industry standard server, storage, and networking gear and software. smart scannable codes to their app. nano RETE develops field-operable, nanoparticle-based biosensors for the real-time detection of pathogens and toxins. EBRs designed the right way. Blue Medora helps customers unlock dimensional data across their IT stack, otherwise hidden by traditional approaches to metrics collection. Seelio's career preparation technology helps students connect their education to 21st century skills so students can stand out in interviews and schools can showcase student success. Quikly is a digital engagement marketing platform that motivates consumers to react through targeted email, social, mobile, local and customer loyalty campaigns. Welcome to the interesting baseball website. Baseball is a bat and ball game since It is played between two opposing teams. To play this ball, you must have two teams the fielding team and the batting team. Harbor Industries, Inc. designs, develops, and manufactures retail displays, store fixtures, and digital media solutions for consumer goods companies and retailers. It offers its retail display solutions for audio gears, bed and bath products, entertainment, gaming, home and garden, home improvement, in-store design, iPad kiosks, lifestyle, recreation, technology and media, and wine and spirit sectors. The company also offers video, audio, and touchscreen digital media solutions; and showroom solutions. In addition, it provides design, engineering, prototyping, production, and insights and consultation services. The company sells its products through partners worldwide. Harbor Industries, Inc. was founded in 1946 and is headquartered in Grand Haven, Michigan with sales offices in the United States. Dart Energy Corporation explores and produces crude oil and natural gas; transports, stores, sells, and distributes crude oil and petroleum products; and provides oilfield related transportation, construction, drilling, and production services. It operates production facilities, wells in water flood units, gas plants, mineral brine wells, and non-operated properties; and owns and manages the pipeline and gathering assets required to transport, market, and process natural gas produced in the Cherokee Basin. The company also provides liquid calcium chloride for dust control, and snow and ice control applications. In addition, it offers liquid calcium chloride that is used in the base stabilization for road construction; freeze-proofing sand for winter road application; drilling muds; and antifreeze for recreation vehicles, curling and skating rinks, and more. The company was founded in 1976 and is based in Mason, Michigan with an additional office in Independence, Kansas. It has subsidiaries in the United States. The NeuMoDxTM Molecular Systems are a family of scalable platforms that fully integrate the entire molecular diagnostic process from “sample to result”. US Signal is a leading IT solutions provider, offering network, cloud, colocation, data protection, and managed and professional IT services. Contact Cribspot by phone, email, text. Cribspot helps renters find the home they are looking for while granting owners peace of mind. Offer local discounts to your clients to support local business, and boost customer loyalty, wallet share, and interchange revenue. PhotoUp is the leading real estate photo editing services provider worldwide that helps Real Estate Photographers with high-quality and metric-driven solutions. BeneSys, Inc. provides administration and information technology (IT) services to trust funds in Michigan, California, Missouri, Iowa, Kentucky, Ohio, and internationally. It offers administrative services, such as health and welfare plans, claims processing, medical reimbursement accounts, eligibility processing, defined benefit and contribution pension plans, supplemental unemployment plans, vacation plans, loan programs, and government filings, as well as VEBA, COBRA, and HIPAA administration services to trustees of union trust funds and the members of those entities. The company also offers IT services from acquisition of hardware and software to installation. It develops and implements software for benefits administration, including health care eligibility, pension and vacation benefits, and employer and self-pay contributions; local union administration; out of work and job referral administration; collection (coordinator) administration; and JATC/JATF and PAC administration. The company was founded in 1980 and is based in Troy, Michigan with administrative service offices in San Ramon, San Jose, and West Covina, California; St. Louis, Missouri; and Las Vegas, Nevada. World-class provider and innovator of IoT, RFID (all frequencies), security print, brand protection, intelligent packaging solutions and integration services. We're uncovering a whole new era of medical imaging. It's ultrasound like you've never seen it before. Keystrokes Transcription Service, Inc. is a large national medical transcription service located in Yorkville, Illinois, a suburb of Chicago. Preferred digital communication channel for life sciences to point-of-care. Financial, Brand, and Clinical Messaging delivered in the EHR. With all your local shopping in one place, Wantify gives you the ability to contact merchants, make special requests, get exclusive offers, and much more! What to Expect: 1. Protection 2. Service 3. Results We offer you quality protection, superior service, and measurable results. Expand your digital services with help from Adtegrity: The Digital Advertising Agency. Display, Mobile, Video, Social, Search, Native, Streaming Audio. Guardian Guard Services, Inc., doing business as Dawn Patrol, provides security solutions in the greater Michigan and Ohio areas. The company offers security officer services, such as professional officers, mobile/vehicle patrols, command center building management, investigations facilitation, guard response, and remote video monitoring/CCTV; and guard services to perform audit and background investigations on employees, and screening procedures. It provides its services for applications, such as access control and screening, airports, automotive dealerships, banking, construction sites, education, government, health services, high rises, jewelry stores, manufacturing, residential, restaurants, and special events. The company was founded in 1930 and is based in Southfield, Michigan. Guardian Guard Services, Inc. operates as a subsidiary of Guardian Security Services, Inc.
At Walker Tool & Die, Inc., we provide our expertise in stamping tooling systems for metal parts. Find out more about our products and services here.